Notably, rather than meditating on the causes and effects of the Civil War, these narratives in the popular culture of the 1990s tended to overwhelmingly emphasize battles and soldiers, in which Johnny Reb and Billy Yank were not only brave but also morally equivalent, with the former having an apparent natural right to invoke violence for his political beliefs against the perceived overreach of the latter. This moral equivalency was one basis for political tribalism in the 1990s as it condoned violence and open hostility against the government by offering a historical narrative that legitimized such actions. This message was also one of the underlying themes conveyed by the most influential exponent of Civil War pop culture in the 1990s, Ken Burns’ The Civil War series. The influence of Ken Burns’ documentary series on the Civil War revival in the 1990s cannot be overstated. It had over 40 million viewers when first broadcast in 1990, which according to Alissa Wilkinson, is “roughly equivalent to the number of people who watched Game 7 of the World Series in 2016.” Praised by critics and politicians alike, it won dozens of awards and prizes and even inspired a skit on Saturday Night Live. “Our Iliad has found its Homer: he has made accessible and vivid for everyone the pain and poetry and meaning of the event that is the hinge of our history,” Washington Post columnist George F. Will wrote in September 1990. The series’ title theme “Ashokan Farewell” became embedded in the American consciousness and was played widely at weddings, funerals, and other formal events. The series highlights the seminal importance of the war in U.S. history. 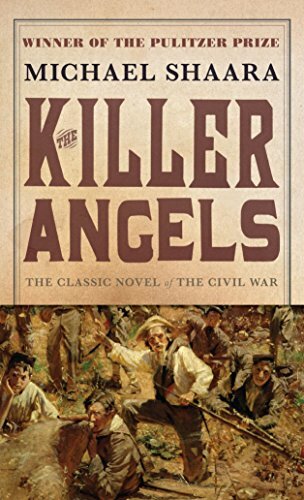 “The Civil War defined us as what we are and it opened us to being what we became, good and bad things,” the avuncular historian, Shelby Foote, said in the first episode. The conflict was “the crossroads of our being,” he mused, making “us an ‘is;’” following the Civil War, the United States would no longer be referred to as an are. This emphasis on unity and reconciliation, however, obscures what the war was really about. “Confederates, you might need reminding after seeing [Ken Burns’ Civil War], were fighting not for the unification of the nation, but for its dissolution,” the historian James M. Lundberg wrote in 2011. 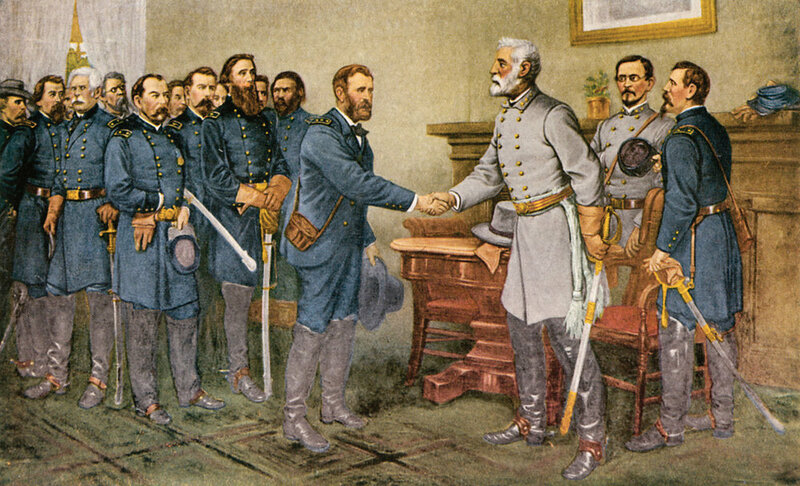 Correspondingly, the series fed the so-called Myth of Appomattox, the false impression that the war ended in a clean and noble closure on April 9, 1865, with the surrender of Robert E. Lee to Ulysses S. Grant. This myth emphasizes brotherly reconciliation over the war’s most important political consequence: emancipation and its eventual de facto failure during Reconstruction. As I wrote elsewhere, this “myth is based on two assumptions: first, that the American Civil War was an apolitical conflict between brothers, and second, that Southerners fought for certain archetypes of American political virtues—individual liberty and freedom from oppression,” while relegating the main cause of the war—slavery—to second rank. Appomattox suggests a moral equivalency between the rebels and the defenders of the U.S. Constitution that is not borne out by historical facts. Who knows but again the old flags, ragged and torn, snapping in the wind, may face each other and flutter, pursuing and pursued, while the cries of victory fill a summer day? And after the battle, then the slain and wounded will arise, and all will meet together under the two flags, all sound and well, and there will be talking and laughter and cheers, and all will say, Did it not seem real? Was it not as in the old days? Although Burns employed 24 historians in the series, including the celebrated Barbara Fields, who avowed, “[T]he Civil War is still going on. It’s still to be fought and regrettably it can still be lost,” it was Foote’s interpretation that ultimately proved to be most influential. Indeed, Foote’s moral equivalency justification found itself reiterated in the 1993 film Gettysburg, an adaption of the 1974 historical novel The Killer Angels, with the sentimentalized tagline “Same Land. Same God. Different Dreams.” That the Confederates’ dreams consisted of dismantling the United States of America while preserving chattel slavery is conspicuously left out. Indeed, the movie fails to depict the enslavement of free blacks by the Confederate Army invading Pennsylvania in 1863, nor does it show any actual slaves accompanying the Southern forces. Foote’s interpretation has proved popular with the Trump administration. In 2017, White House Press Secretary Sarah Huckabee Sanders cited Foote in defense of Chief of Staff John F. Kelly, who had paraphrased a central thesis of the historian that the war could have been avoided through compromise. This delicate position was popular among historians with sympathies for the South, who wanted to emphasize state rights over slavery as the cause of the war. “I don’t know that I’m going to get into debating the Civil War, but I do know that many historians, including Shelby Foote in Ken Burns’ famous Civil War documentary, agree that a failure to compromise was a cause of the Civil War,” Sanders said. This ostensibly anodyne and idealized portrayal of the conflict also enables some commentators and politicians today to casually mention the possibilities of another Civil War. For example, the controversial Republican congressman Steve King tweeted in June: "America is heading in the direction of another Harpers Ferry. After that comes Ft. Sumter." While there appears to be little danger of another genuine civil war, this rhetoric is both inflammatory and dangerous for democratic norms. Furthermore, the amoral portrayal of the conflict provides a cloak of legitimacy for anti-government and white supremacist ideology and violence, as the Robert E. Lee statue controversy in Charlottesville has shown. Prior to the Ken Burns phenomenon of the 1990s, the 1960s were the last time when the country witnessed a resurgence of interest in the U.S. Civil War. The centennial saw the adaptation of the battle flag of the Army of Northern Virginia as the quintessential symbol of the Confederacy, which included hoisting it on the grounds of the South Carolina State House. It also led to a boom in civil war reenactors. White Southerners commemorated the conflict in a racially exclusive fashion and saw the centennial as a means to fight desegregation and the civil rights’ movement. Stark political division and civil unrest marked the 1960s, which anticipate but do not comprise all the multiple factors that have contributed to the polarization of American society then, or in the 1990s, and today. For example, an examination of the American expression of “Structuralism” in the 1960s and the variety of derivative “Post-Modern” movements of the 1970s-2000s and the “Science Wars” of the 1990s helps to explain the emergence of the Post-Truth era and its political manifestation in “Fake News” propaganda. The impact of depicting the struggle between North and South in a moral vacuum, as evidenced by Ken Burns’ Civil War series, should not be overlooked, however; in the wake of the delegitimization of truth, it offers an opportunity to engage in Orwellian doublespeak when it comes to political violence, race, and anti-government sentiments in the United States. 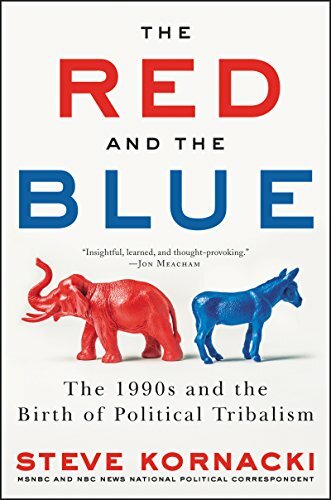 Unmentioned in Steve Kornacki’s book, is that Newt Gingrich co-authored an alternative history Civil War trilogy in the 2000s, which consciously tapped into Lost Cause mythology. For example, in Gingrich’s portrayal, Robert E. Lee is a fierce opponent of slavery, something not borne out by the historical record, while the villains are not revolting Southern officers and slave owners, but Northern politicians, especially Democrats such as Dan Sickles. That Gingrich, a former leading politician of the Republican Party and advisor to the incumbent U.S president, can engage in such mischaracterizations is a testimony to the prevailing power of a Civil War narrative that still clings to myths over facts. It is crucial in this historically divisive time that the dangerous effects of these false narratives on the body politic of a stable American Republic are recognized. Glorifying insurrection and the application of violence for treasonous ends should not be seen as an American virtue but a vice that need not be tolerated. Franz-Stefan Gady is a senior fellow with the EastWest Institute and senior editor with The Diplomat Magazine.